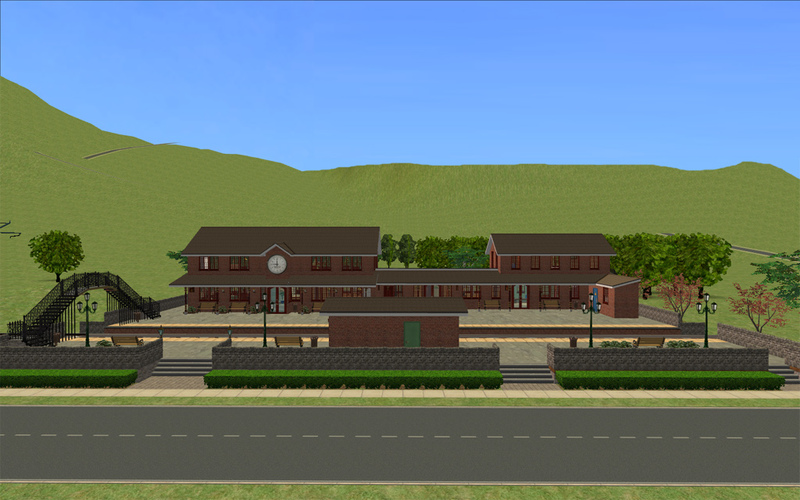 Simton, though small, is quite an old town and on the edge of town there was a disused railway station (ever since Sims discovered taxis the trains were never used anymore). 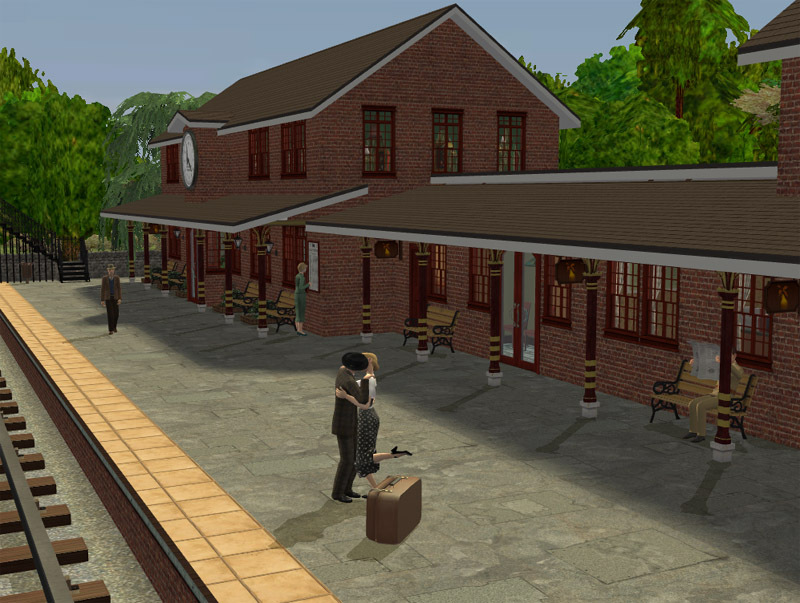 Simtons Mayor, Mayor Leesester, was pressurised by his great aunt, Miss Leesester, to refurbish the station and as he is a good nephew he has done so. Miss Leesester has an amazing archive of photos from her youth and with the help of colour technology these were used to direct the refurbishing of the station, especially the bar area with darts and poker and a piano for dancing. 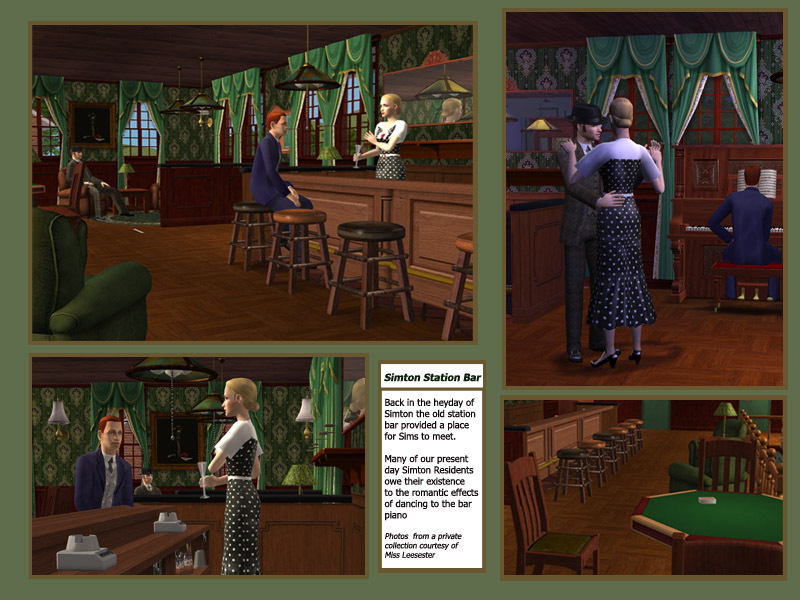 The station bar has been restored to its former glory, based on pictures from the archive. 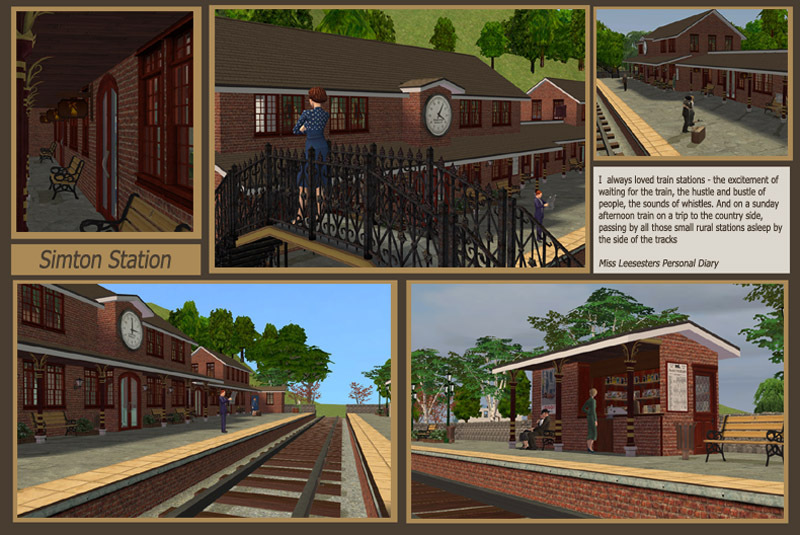 Other parts of the station such as the ticket office, left luggage, station masters office and waiting room are fully restored, but as there are no staff and trains these are really just pretty museum pieces for sims who wish to enjoy bygone days. 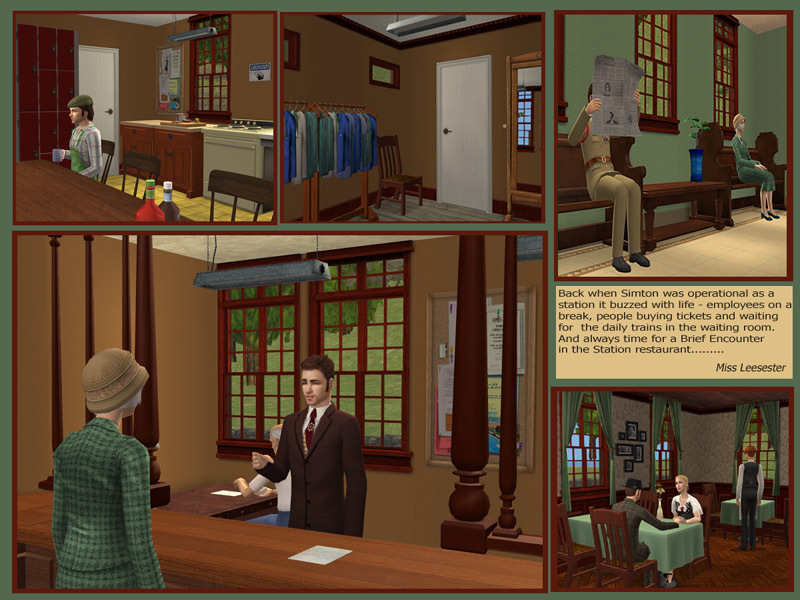 In addition, there is a small employee break area and changing room that could EITHER be extended into a clothes shop, or could be used as a stationmasters flat if you decide to make this a home business using OFB. 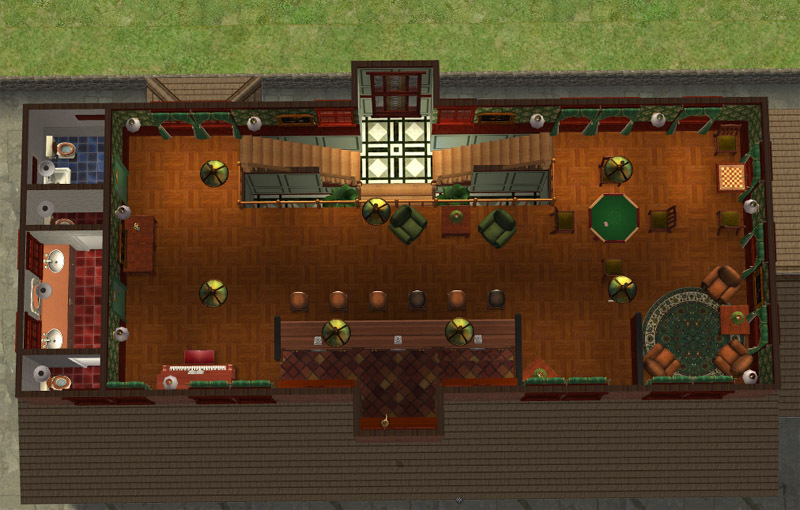 I included two versions - 1 no CC and the other some CC - it is prettier with the CC, and I have included a mesh pack for the major CC EXCEPT the clock by MommaB and the wall lanterns from Numenor. EDIT: One of the regulars in #create (and a friend) is a mac user and wanted this for her hood, but there is no AL for MAC yet, so I rebuilt using OFB instead of AL. 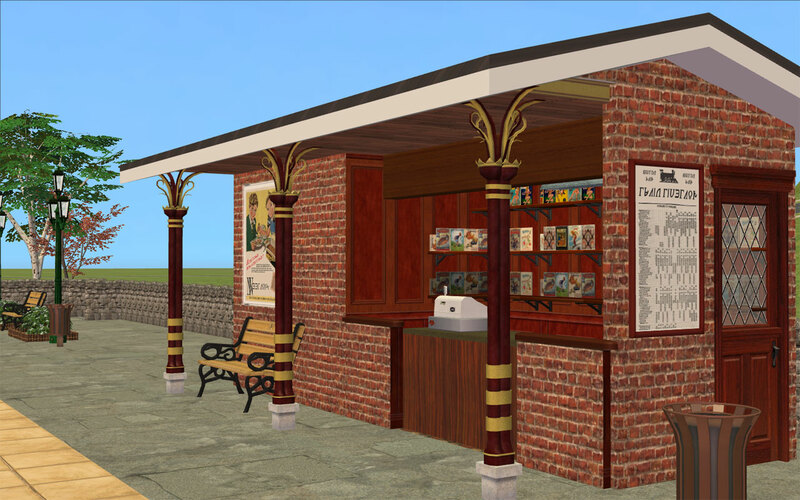 It is BASICALLY the same thing, but with the kiosk as a book store as no pretty shelves in OFB. You can DL a mac version from the DL tab below - it contains the CC - there is no none CC version available, sorry. 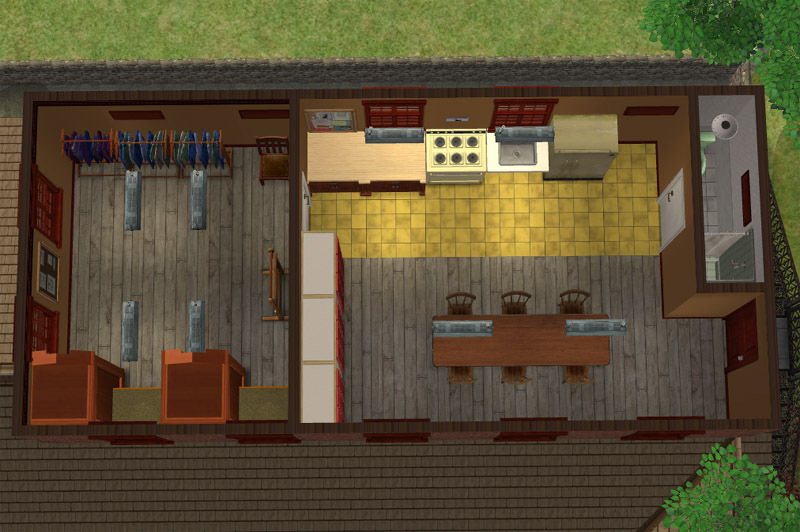 The Mac version uses Base Game+UNI+NL+OFB. - Large 1 tile wall clock. by momma"b"
- Decorative Railway Track 516 polys. All the people in Create who have listened to me waffling on about this lot for the last month. 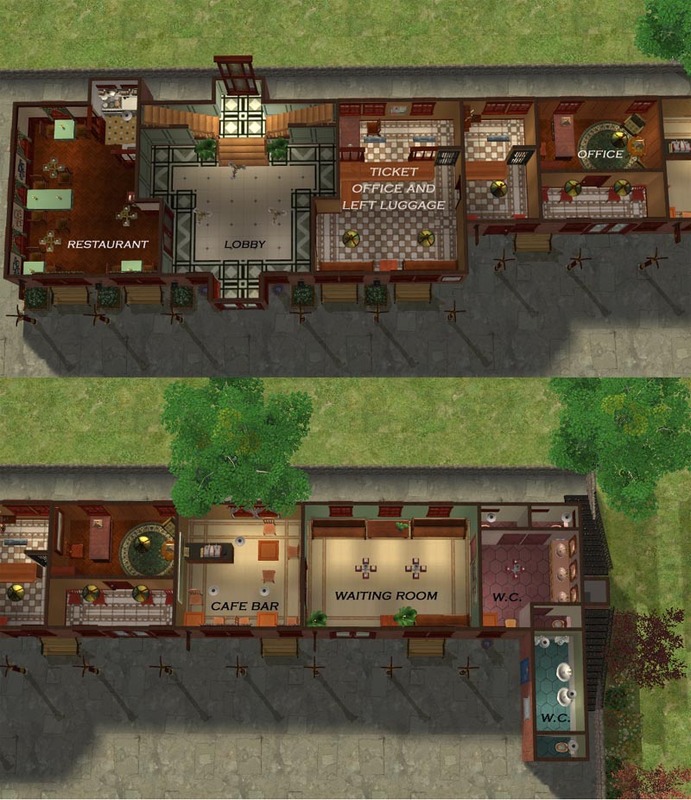 SimPE for making it possible to create the CC that this lot needs and MTS2 for giving me a place to share my stuff and find other peoples creations too.